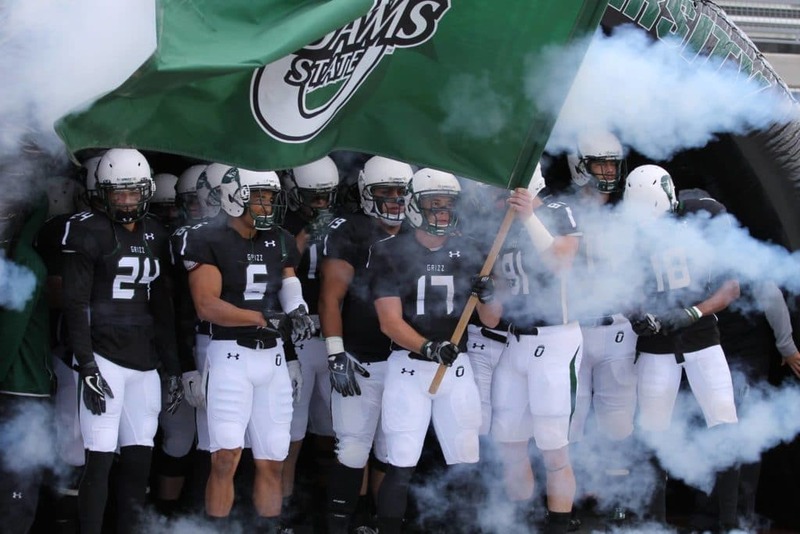 Adams State Football, a public university sports program in Alamosa, CO that participates in the Rocky Mountain Athletic Conference, will embark on a new coaching era under Josh Blankenship who was recently promoted from Offensive Coordinator to Head Coach as Timm Rosenbach accepted the Quarterbacks Coach position at the University of Montana. On the field, the 2017 ASU Football program ranked #1 in Passing Offense in the Nation and #10 in D2 Total Offense in the Nation. Off the field, the 2017 Grizzlies Football program, successfully raised almost $10,000 through Campaign Sports which helped in the purchase of new helmets & shoulder pads during the program’s recent logo rebranding.